Dr. Denise Emma is a certified specialist in orthodontics and Invisalign, and is among the top 1% of Invisalign certified specialists in North America. Only an orthodontist is trained to incorporate traditional orthodontic techniques with Invisalign to achieve stunning smiles time after time. Dr. Emma’s signature beautiful smiles are works of art, and she has brought these smiles to hundreds in Garden City, Baldwin, and throughout Long Island. 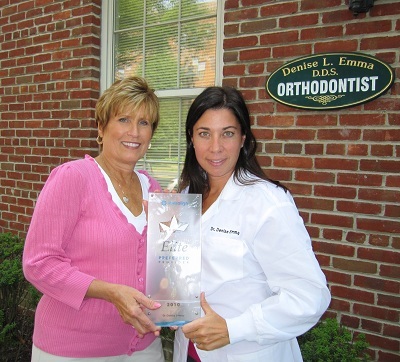 Dr. Emma has been awarded Elite Preferred Provider specialty status for her extensive experience using Invisalign since its first introduction in 1999, one of only a handful of doctors on Long Island to receive this prestigious recognition.